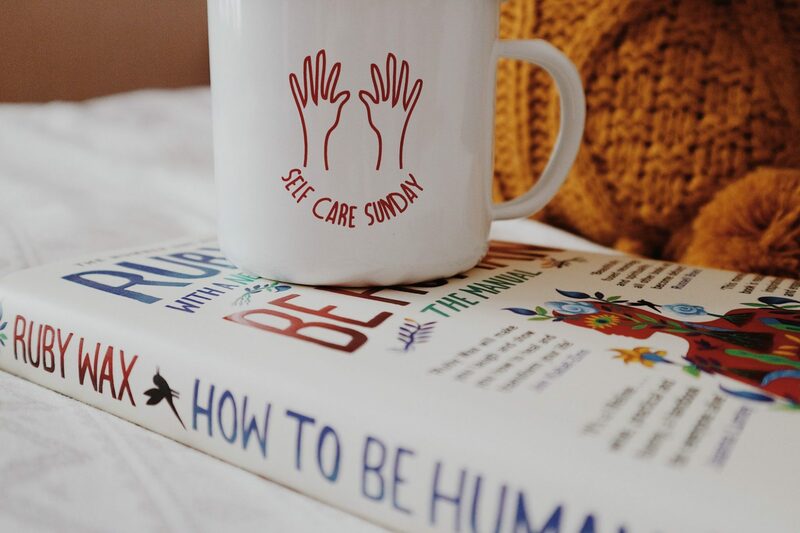 So last month I wrote up a post talking about my morning self care routine and it quickly became one of my most popular posts! I loved reading everyone else routines and have even ended up taking a few of the tips other people suggested and putting them in mine. They haven’t all worked for me, but it’s always interesting to try new things that sound appealing. When I wrote that post, I always intended to follow it up with my evening self care routine. I know some people might see having both a morning and a night time self care routine a little excessive, but this one isn’t so much about self care as such; its more about grounding myself and winding down for whatever I’ve been doing that day. In the morning it is all about getting me up, out of bed and motivated for the day ahead. At night its all about switching off from work mode; something I never fully manage to do in all fairness. I’m one of those people who’s brain is always planning out new posts, photos, captions and ideas. I’m pretty sure I even do this in my sleep. I once woke up with a whole blog post written out in my head including photo ideas, subheadings and a SEO friendly title. In all fairness this is something I do the second I get home and I know I’m not going out again. The bra comes off at the very least and I’ll usually get into something loose fitting, if I don’t go all out and just put my pjs on that is. One item I’ve especially loved wearing recently is this self care Hoodie that Sheffield Futures was kind enough to send me. They’re a charity local to me that offer a wide selection of services for young people in all aspects of their lives and they’ve recently launched their Merchandise with a Message campaign, aimed at getting more people to talk about their mental health. I love how comfortable it is (I always get hoodies in the next size up so they’re nicely oversized!) and since its aimed at getting people to look after their mental health and take self care time, this is the perfect time to wear it. Even though I already have a draw full of them, I’m thinking of picking up their Tote Bag and making myself a Self Care Kit; kind of like a mental health survival kit but filled with dedicated self care ideas like the hoodie, a book and a packet of instant hot chocolate + snacks. Not only does this make everything I need easy to find, but I can just quickly grab it and take it with me when I’m staying at Chris’s. I don’t really wear much makeup these days, mostly because I’ve never been able to master anything more than the basics. I’ll usually just put a bit of foundation on (the No7 essentially Natural Foundation is my absolute favourite right now! ), fill in my brows and add a coat or two of mascara. Taking off my makeup is mentally symbolic for me- it’s a sign that I can relax and start to wind down for the night. As I’ve already mentioned, I have a huge problem with switching off from work mode; so I try not to do any work once my makeup is off. It’s not easy to do and I don’t always manage it, but it does help! I use the No7 Beautiful Skin Micellar Cleansing Water and it’s been great for my sensitive skin. Most makeup removers dry my skin out really badly, but this is really gentle and I’ve not had any problems with it whatsoever. I’m nearly three quarters of the way through my second bottle now and I’ll definitely be picking another one up when I’m next in Boots. This is the most important part of my nightly routine and can be just about anything depending on my mood. Some nights I’ll want to relax so I’ll curl up with a warm drink and read for a few hours…or most of the night knowing me. 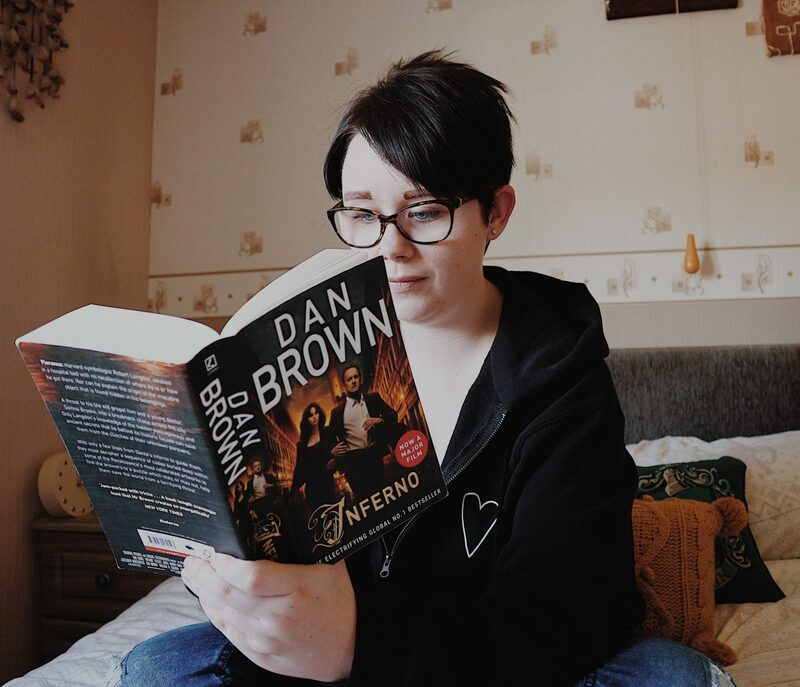 If for some reason I don’t feel like reading, I’ll usually substitute a book for binge watching something; either my favourite YouTubers or something on Netflix. Although I’ve learnt the hard way why I shouldn’t watching something like Criminal Minds too late in the evening; it can make for some very vivid nightmares! Other nights I’ll want something a big more engaging, so I’ll go on the xbox. Some of my favourite games are The Sims (obviously! ), Skyrim and Assassins Creed Origins; Skull and Bones looks amazing and I can’t wait for Spyro to come out- don’t expect much blog content in September as I’ll be too busy reliving my childhood!! I mentioned this in my little ways to practice self care every day post, but turning your phone off and having a digital detox can be so refreshing! Not just that but I turn my phone completely onto silent mode at night rather than on vibrate, and I turn my internet off too. This stops me being woken up during the night by my screen lighting up or a loud sudden noise of a notification coming through. True its a problem if someone is trying to contact me in an emergency, but that’s why I’m glad we still have a landline which people would call if they couldn’t get me on my mobile. What is your evening self care routine? 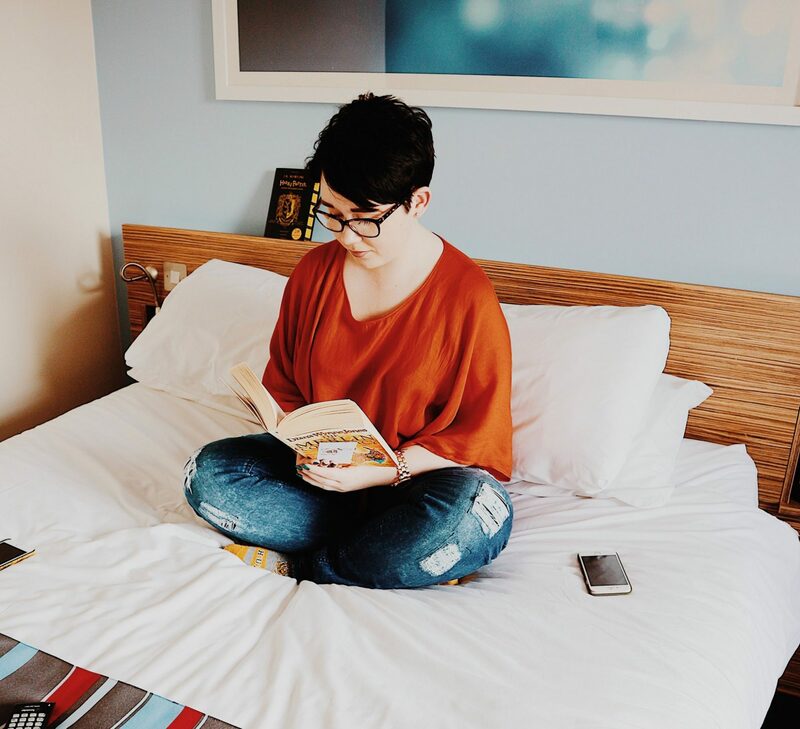 "What I’ve Learnt From Two Years of Blogging"
"How Turning Off Social Media Notifications Has Helped My Mental Health"
I always try to end my day by reading and getting my outfit/ stuff sorted for the next day to make the mornings less of a hassle! These are great wind down tips! There is nothing like coming home from a long day, stripping and getting into cozy PJs that sets the mood to relax perfectly. 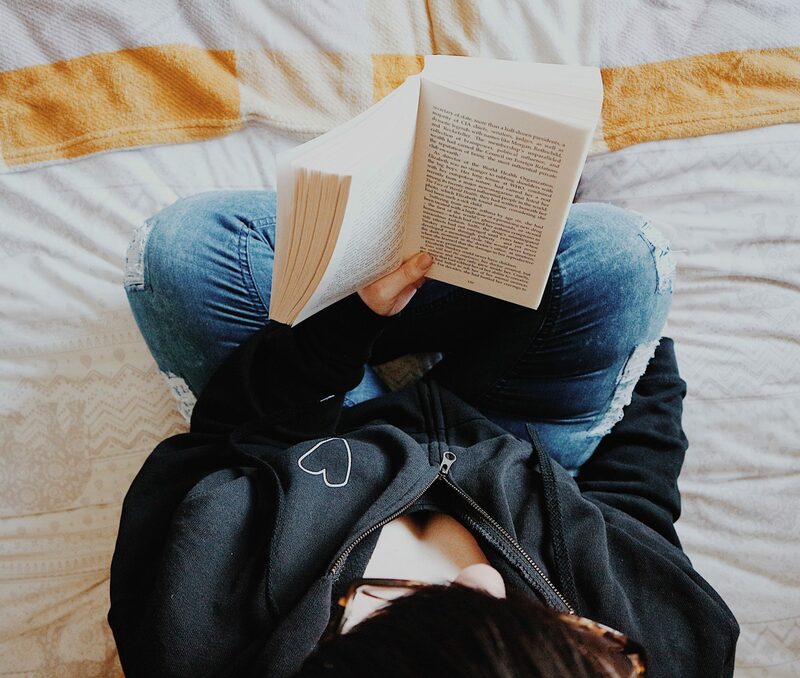 A book is normally my go to because it makes me so sleepy at night. I loved this post! Thanks for sharing, Jade. Love this post! It’s so important to practice self care whenever we have time for it and an evening winding down is definitely perfect for it. My evening routine is a lot like this I only have a hard time to completely avoid using my phone but when I do it I sleep so much better. Self Care is so important, and I constantly have to remind myself to switch off and take some time for myself. Love the post and your routine. Pinned! I would love to turn my phone off for the evening, but I worry that something might happen to someone and they can’t get in touch with me. I can turn off my wifi and data on my phone though, so I get a much needed break from social media! Self care is really so important. So often we forget to take care of ourselves. Its nice to do these during the evening for sure. Noting better then pyjamas, turning off the phone and reading a book or watching my favourite series ( currently american horror story). What a great way to relax after a long day! Sadly my evening routine currently extends to putting on pjs and watching Love Island. Lots of little things add up to big things ☺️ I’ve always hated how some people say you have to do lots of big, impressive things to practice self care- no everyone has the time, energy or ability to! Love this post, Jade! I always make sure to have some “me” time. 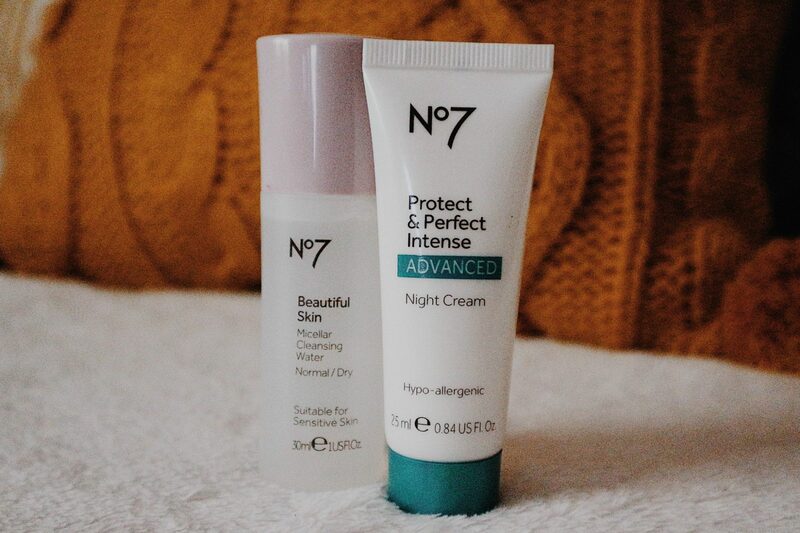 Big big fan of No7 skincare also included in my day and evening skincare routine. I also take my makeup off and change into comfy clothes usually pjs when I get home it makes a big difference. I also put my phone in do not disturb.